Social networking and networks are big business – when you get them right. Unfortunately for many big businesses this is often not the case and like everything in the public domain they are sufferers of our fickle attitudes and popularity is often fleeting. So, lets look at some of the biggest social media fails. Apple turns everything it touches to gold – well not necessarily always true. 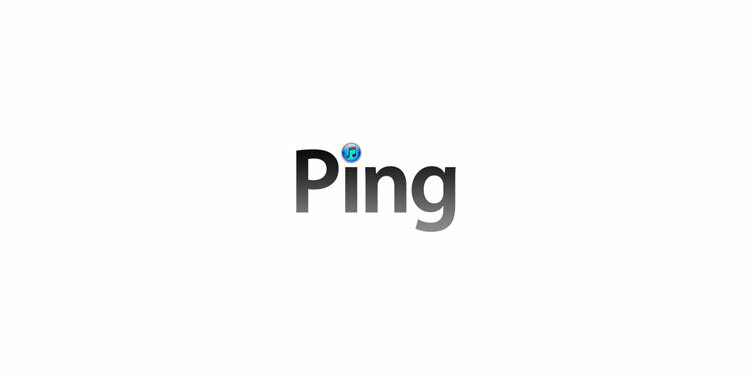 Ping, Steve Job’s and co’s attempt at creating a social media site was marketed as a social network for music lovers and was combined with iTunes. How could it fail? Well, if you create an all inclusive social media site that can only be joined through iTunes or iOS then you’re already massively limiting those that can join – not a good marketing ploy. Add to this the fact many people have bad music taste you don’t want to share with and the fact it creates a memory heavy iTunes most older PCs will be slowed with are all reasons for its failure. Once upon a time Bebo was a decent social media network, AOL then bought it for a mere $850m, who managed to virtually lose all its street cred and close it. How? AOL’s cost cutting measures meant Bebo was subject to a lack of resources at a time when Facebook and Twitter were innovating. Bebo fell far behind Facebook in terms of development; people migrated to the better of the two social media networks and Bebo failed miserably. Recently in the news for two reasons, its huge drop in price when sold by News International and secondly its purchase by once N-Sync star and Social Network actor Justin Timberlake. So, what happened to My Space? Well, a mixture of a few things. Just like Bebo it failed to innovate after News Corp purchased the social media site for social media marketing campaigns. Rupert Murdoch used it as a way to get short-term revenues over long term ones and the site faded away as the forum of innovation it once was. The site also repositioned itself away from social media and towards entertainment, thereby fudging and so losing its users, as it didn’t know exactly where to go with itself or what its purpose was. Google has made a number of forays into the social media circle; aside from the current Google+ venture, Orkut was the big one. Orkut’s problems lay firstly in its speed – it was slow, as Google didn’t invest in servers, so people used faster sites such as Facebook. Though Orkut did well in Brazil where bandwidths were short and the difference was not noticed. Orkut just like Google+ wants to place its information on search engines, many people value privacy and so this is a negative. Finally, Google is good at everything else other than social networking and Orkut just didn’t make people tick, coming in second to Facebook on nearly every level. Google has had more bad news in the social media area this week, shutting down its Buzz network while also seeing the popularity of Google+ drop. Buzz’s use of algorithms meant it just didn’t have the user friendliness Facebook had, relying initially on mathematics to run a site, meant people felt alienated add to this privacy concerns and await failure. Google has the social media skills of most social media experts and geeks and this was the problem with Buzz. A huge slowing of subscribers & visitors to Google+ is also evident and it looks like third time lucky for Facebook and not Google. How do you see the future of Google+? Will it turn the tables around in the near future or is it another failure in the making?